“Extraordinary Effort, Spectacular Failure” declares its ethos with clarity and directness in advance of any art. There is no irony in this claim nor in the work, a diverse presentation of mixed media that represents the culmination of six artists’ recent Chicago Artists Coalition HATCH residencies. Curated by HATCH resident Erin Toale, the exhibition meditates on David Foster Wallace’s notion of the “anti-rebel,” an imagined figure whose earnest and dogged effort, Foster suggests, might be the much needed antidote to all that is too cool in today’s hip culture. Accordingly, the artists here are visibly struggling, not with the quest of “making it” but with questions of practice and identity, among many others. Nora Renick Rinehart has woven strips of color photographs of skyscapes into patterned quilts that are as much about the fragmentation of vision as they are about labor and craft. Jesse Seay’s netted column of gauzy Kevlar and wire sparkles with a woven circuit of white LEDs that appears at once delicate and precise. Overcoming the conditioned instinct to see kitsch is a rewarding challenge among these works, which yield so much more. 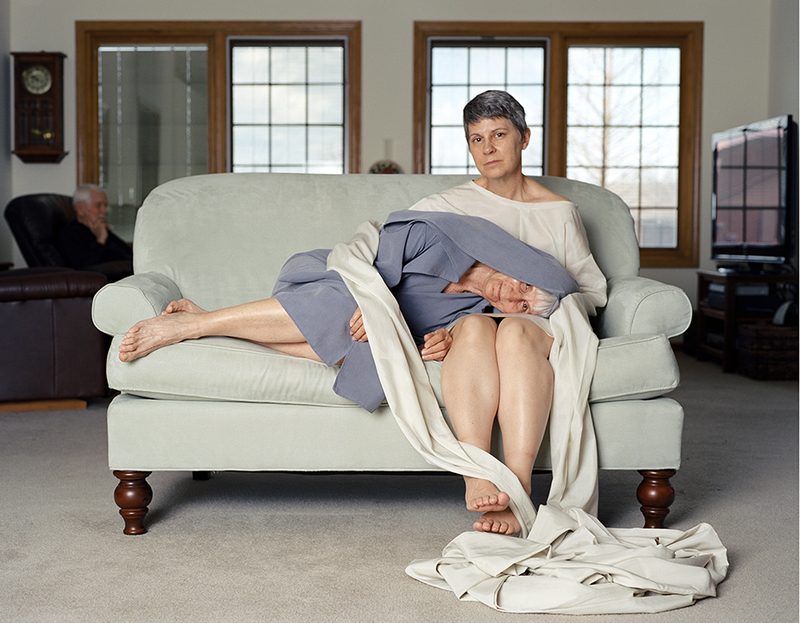 archival inkjet print, 30 x 40 in. Liz Gadelha’s “Give and Take” invites visitors to sit with a partner and braid fabric, or conversely, to undo the braids if they are found completed. 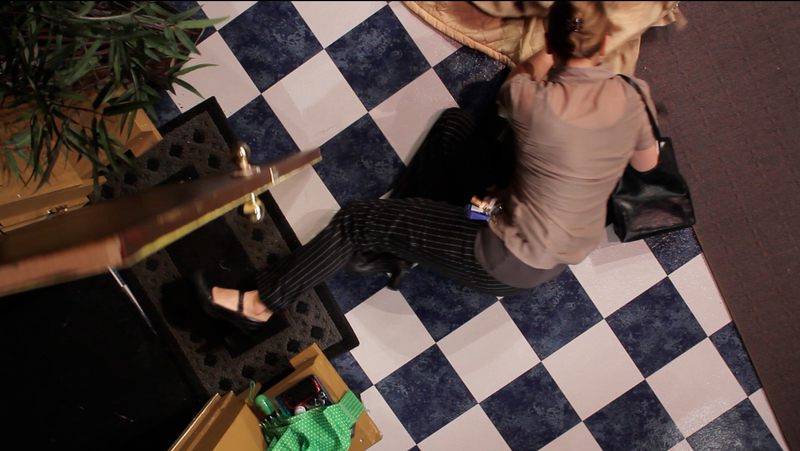 Labor, messiness, and futility intermingle throughout the show, but they are especially salient in Lori Felker’s “A Trip to Always Falls,” a floor-projected video of an aerial view on the artist’s repeated efforts to fall down while entering a front door carrying groceries. In a video made with the artist collective Sebura&Gartelmann, Felker attempts to write the words spoken at her by the two artists as they read from magazines into traffic cones pointed at her ears. Through March 26 at Chicago Artists Coalition, 217 North Carpenter.